Passion, Purpose, Vision lofty words to describe what you enjoy, what your drawn to, and where you see yourself in your dreams. So are these things at the forefront of your every waking moment? 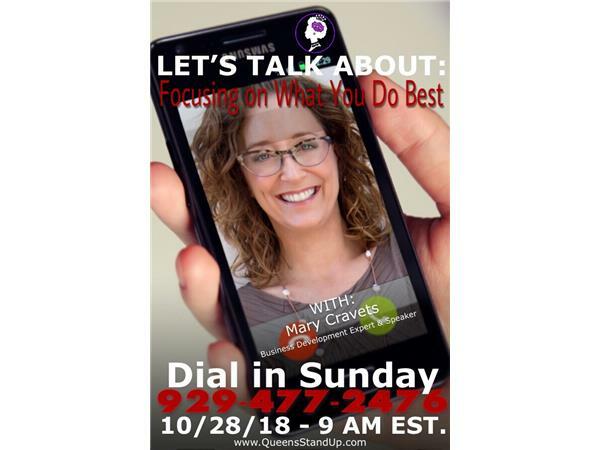 Mary Cravets, Business Development Expert and International Speaker says your passion, purpose, and visions for your life should be your main focus, because these things are what you do best. Discovering what they mean to the big picture of your life is the adventure.